Corra is excited to once again attend the Internet Retailer Conference & Exhibition (IRCE) in Chicago. IRCE 2016 is shaping up to be another great event packed with cutting-edge content and fun networking opportunities, and we can’t wait to head to the Windy City for this show. IRCE, held June 7-10 at McCormick Place West, provides attendees with a conference full of industry experts and unrivaled agenda content, curated by the editors of Internet Retailer magazine. The exhibit hall, featuring the latest and greatest solution providers, and a community of thousands of like-minded industry peers combine to make IRCE a standout event for ecommerce professionals. 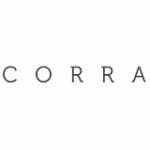 You’ll find the Corra team at Booth 649 in the exhibit hall, where we’ll be offering several giveaways and surprises throughout the show. Stop by anytime to grab a free Conference Survival Kit, full of essentials to get you through those early mornings. You can also discover what your future holds with a tarot card reading right at the booth! And make sure to join us Wednesday afternoon for a special exhibit hall happy hour. We’ll have a keg of beer and plenty of wine, and we invite you to come share a drink with our team. To set up an appointment to meet with a member of our team at IRCE, email [email protected]. We look forward to seeing you in Chicago!